The Ultimate Geek Blog. EVER! As you can see, the uniforms are very different from the original concept art. The work is surrounded by a samba rhythm, making it a fun and bright experience! Theme of the show is “Charging” (Juuden, i.e. Jyuden, Beast Electricity). 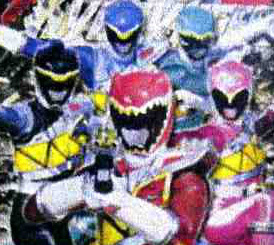 Using the JyuDenChi, in which Dinosaur Souls are stored, the Kyouryugers charge various pieces of their arsenal. 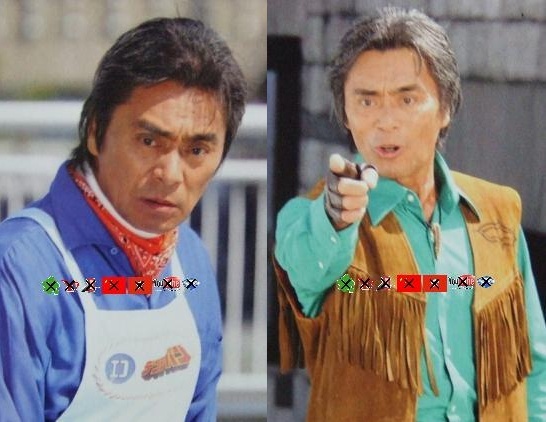 -Henshin Item is the “GaburiVolver” (Gaburi- to bite). The JyuDenChi is set in the “Gaburinchou” and henshin is carried out with a Samba Sound. 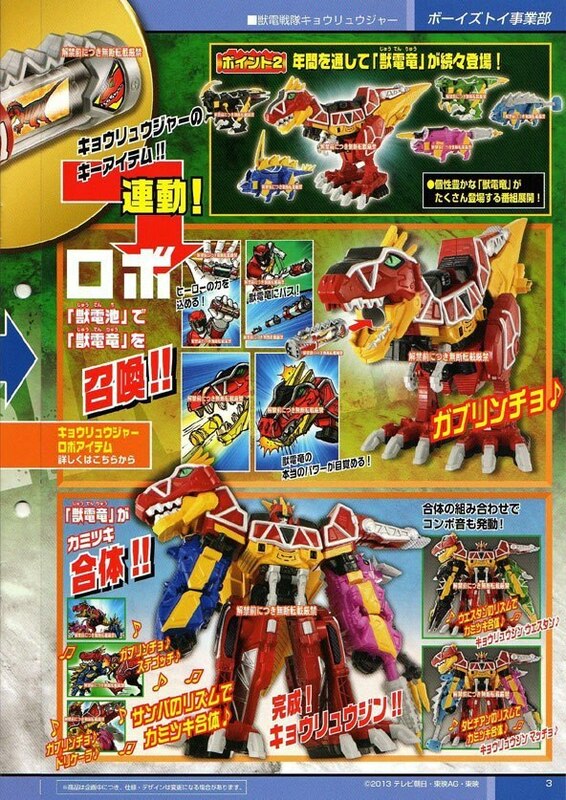 Here’s the official robo KyoRyuJin, which is a combination of GabuTyra, Stegocchi, and Torikera. Pretty similar to AbarenOh and MagiKing, with the other mechs acting as secondary attachments similar to Engine Birca and Gunpherd with EngineOh. 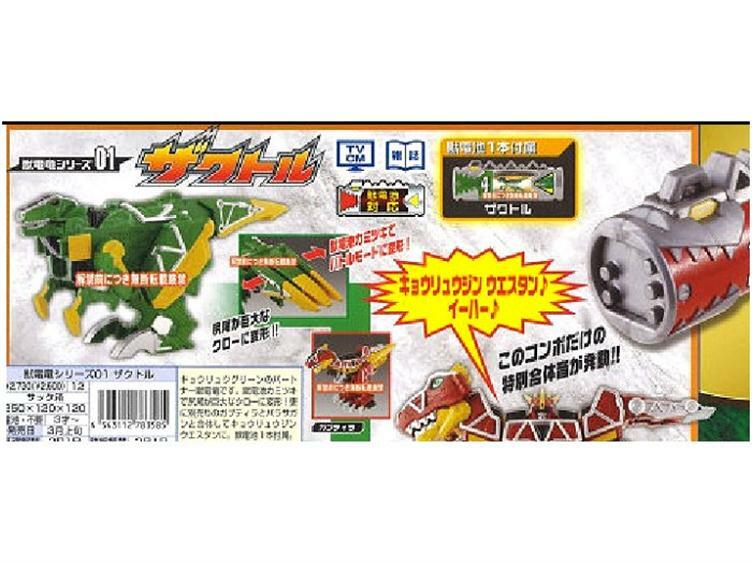 Here’s Dinosaur Zactor (and a partial of one of the JyuDenChis (which contain the Dino Souls and act as “batteries” for the Dinosaurs and the Kyoryuger’s equipment). And this is Parasagan (sorry, it’s hard to tell what any of these things are without translations). And this appears to be one of the first new additional Dinos, which the website lists as Stegochi, but looks like it might be one based off of an Anklyosaurus. 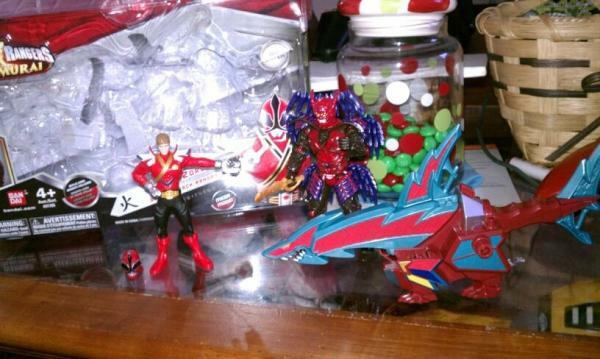 And this last one features the new DinoChaser and an illustrated KyoryuRed figure. 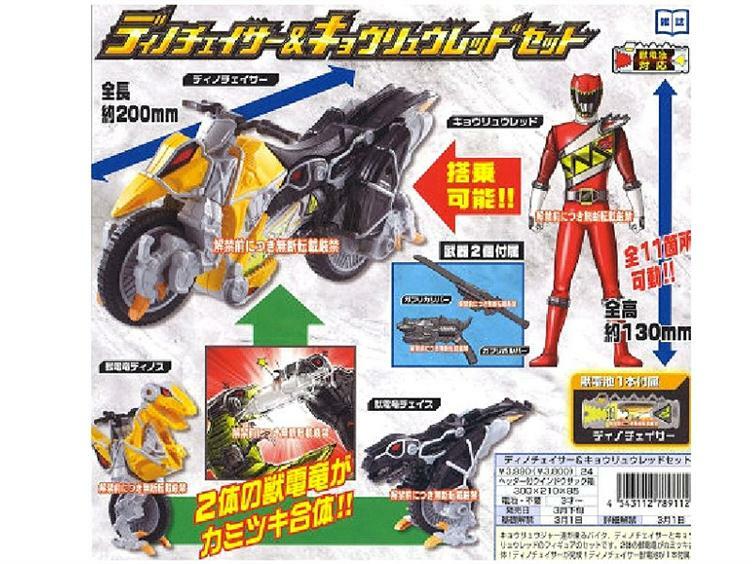 As you can see, they start out as two separate Raptor-type dinos that combine to make the bike. 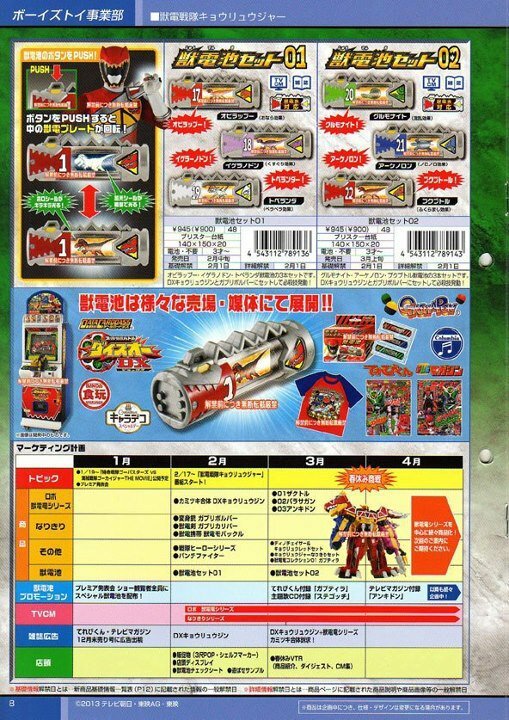 As you can see in all of these scans, each major set seems to come with a JyuDenChi, and if you look closely at this last one, you can see the future sidearms that the Kyoryugers will use, namely the GaburiVolver and the Samba Sword. Overall, this is show is suppose to be bright and up-beat with a Latin rhythm, somewhat purposely designed to counteract what Bandai has called the “dark” nature of Go-Busters (which they also hope will counteract the low sales of Go-Busters merchandise). Now we don’t know anything else that has been 100% confirmed, so I’m going to hold off on any real judgment about the series until more info comes out, but so far it doesn’t seem bad (to me, other people, ehh… they’ve already decided it’s going to be terrible). Personally, I was hoping to see some of influence from these Zyuranger Redesigns in the Kyoryuger‘s design, but it’s still not bad. 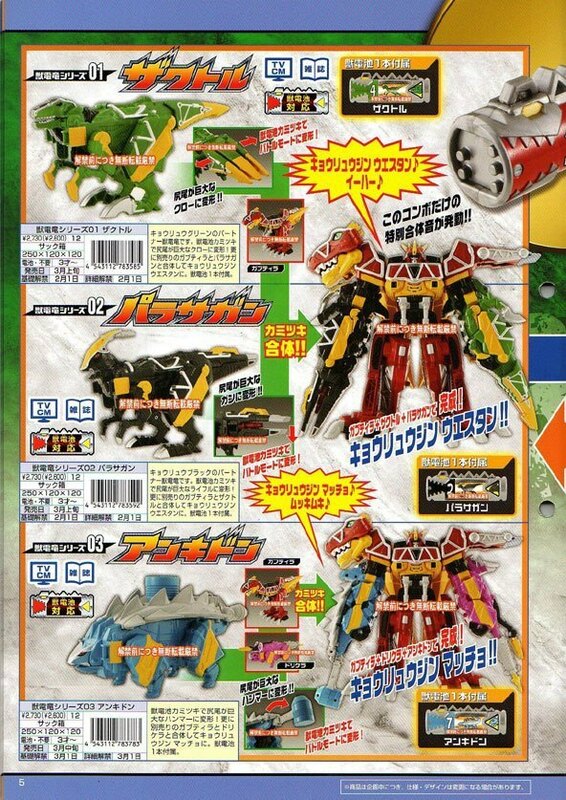 First, a better look at the Dinos and KyoryuJin. As you can see, the JyuDenChi is used to “power” special effects in the Dinosaurs, or as they’re known here, the JyuDenRyu, and they each play different sound effects when combining together. Kamitsuki Gattai! Also, the first extra JyuDenRyu, Ankydon (the light blue one that looks like Steguchi) is also shown here. And here we have a better look at the GaburiCaliber, in sword form and combined with the GaburiVolver to form the DX GaburiCannon. 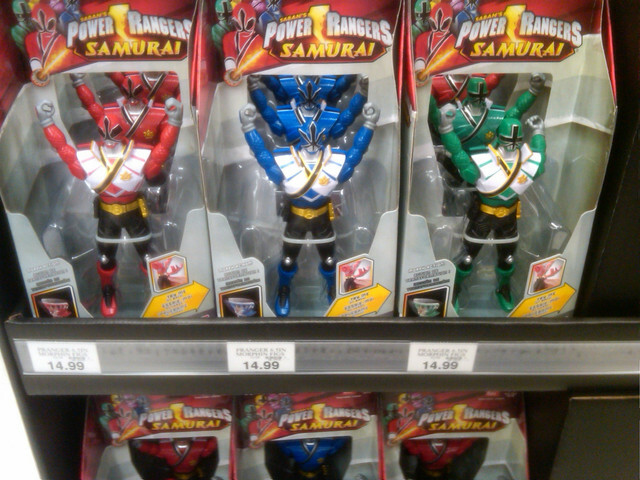 They will sell both parts separately AND in a DX combined set that comes with three JyuDenChis. 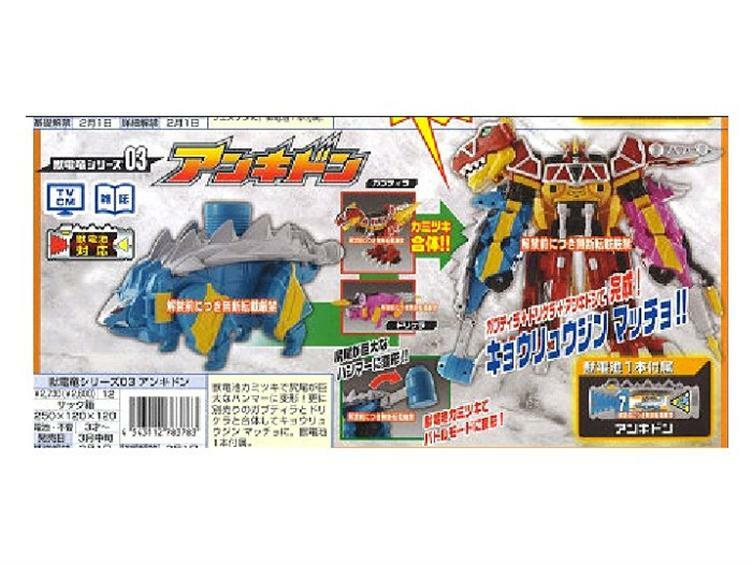 The JyuDenChi exclusive to the GaburiCaliber is #15 Allomeras (note that the shape of the GaburiCaliber is similar to the Allosaurus). 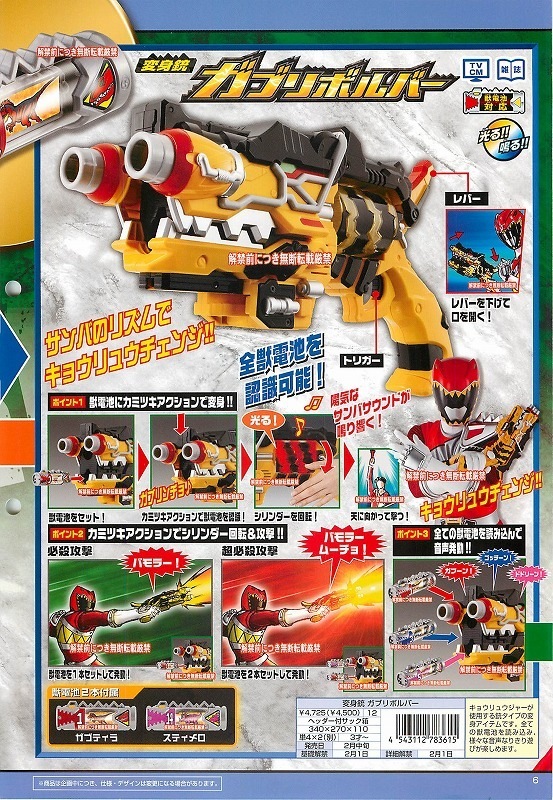 And here we have a better look at the GaburiVolver, which makes this the first gun-based henshin device for a Sentai series (excluding, of course, any that change into guns, or the Akibaranger‘s MM-01). 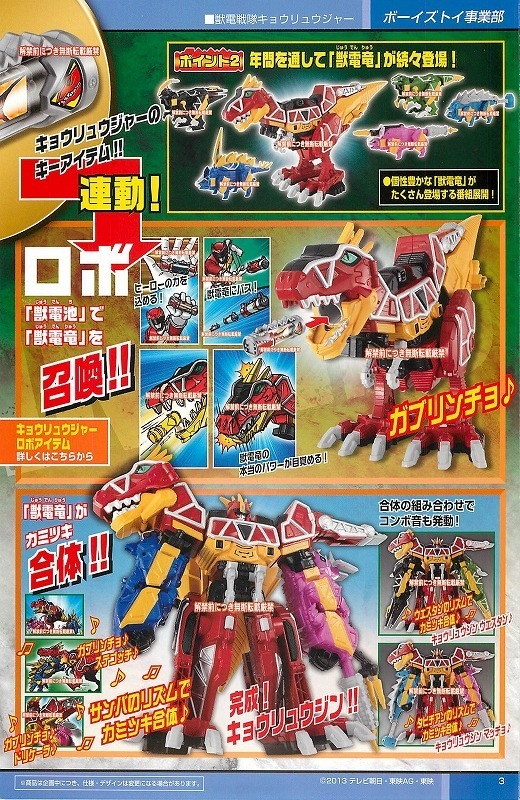 It comes with two JyuDenChis, #1 GabuTyra and #14 Stymero (Styracosaurus- no word on any future mechs for it). 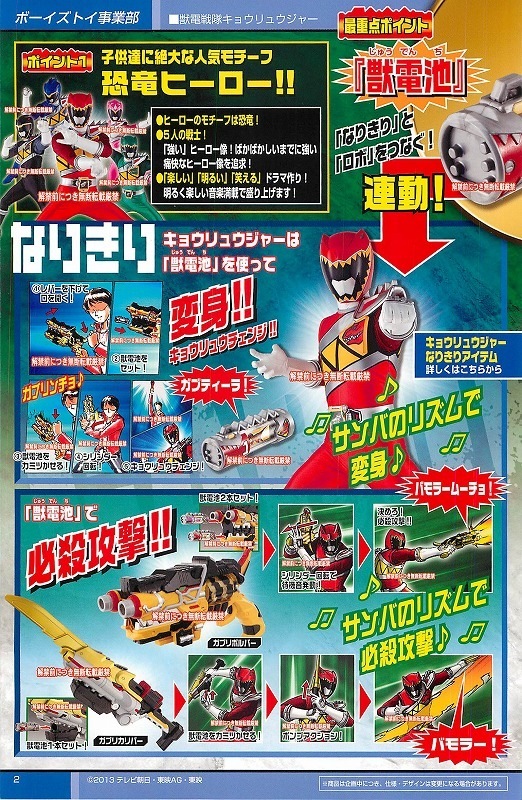 As you can see, to start the henshin functions, you place the JyuDenChi your going to use for the henshin in the bottom “barrel”, close the “mouth”, spin the chamber and whammo!, you’re a Kyoryuger! And as a finisher, there’s a second barrel for combined power attacks. But from what I can tell, there’s only sound effect for Red, Blue, and Pink, which makes me think that Green and Black will come in later in the series with their own version henshin device. There still haven’t been any more confirmations about the plot, or any future cast, but given the fact that the first official image has come so late in the year, that shouldn’t be such a surprise. 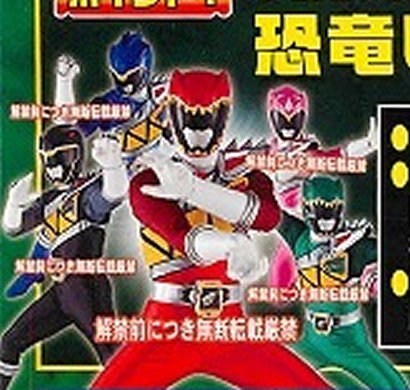 Juuden Sentai Kyoryuger premieres February 17, 2013. 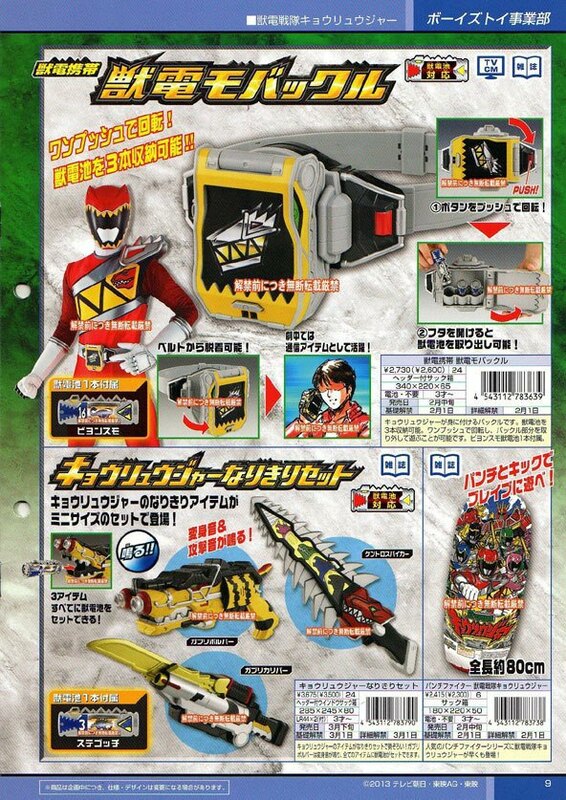 UPDATE: (12/9/12) Even more Catalogue Pics have surfaced, including some better quality ones for the JyuDenRyu. Let’s Check them out! Here’s a close-up of the belt, which acts as a phone and a carrying case for JyuDenChis, and it looks like it comes with JyuDenChi #14 (no idea). 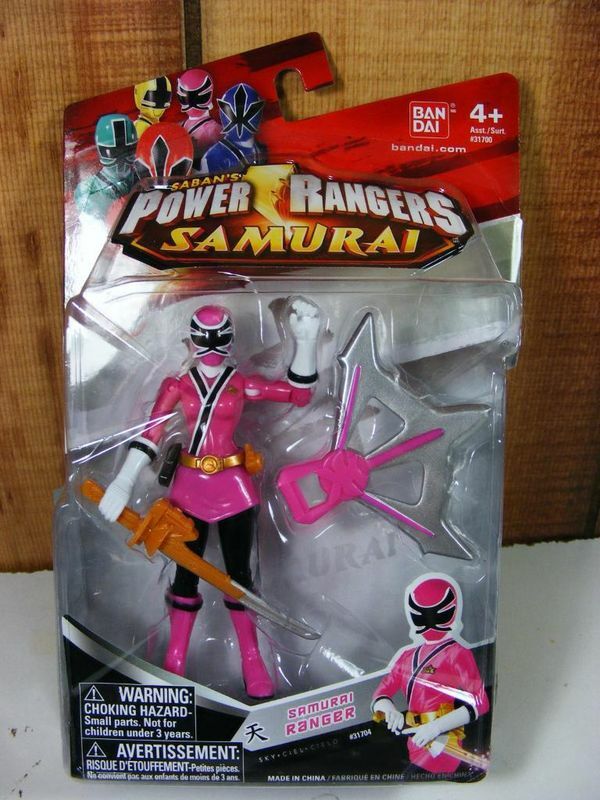 It also shows a new sword weapon (possibly the Samba Sword) and an inflatable punching bag toy. And here’s another view of the DinoChaser, along with vinyl figures of the Kyoryugers and a mini GabuTyra. And that’s it for now, any more I’m just putting in a new post. Go-Kaiger Ultra-Post: Haden Ni Ikuze! Until the last episode! Yes, this is it, the long awaited Ultra-Post for Go-Kaiger (and so we’re clear, I don’t care if their isn’t a hyphen between the “Go” and “Kaiger”, that’s just the way I spell it), and the over-all theme of this post is “the beginning of the end”, because we’re down to the last two episodes, with the finale (Ep.51) on February 19th. And while the series may be ending, the franchise is still in full swing, with both a leading role in Superhero Taisen, and new Go-Kaiger toys being released along with the upcoming Go-Buster toy line (and yes, that’s the official spelling for the new series, you’re welcome). And of course, we still have about a months worth of news to cover in a single post, so let’s get to it! Zangyack is advancing their final plans, which includes an all out attack on the Gokaiger, and the ultimate destruction of Earth! It has been revealed that the Greatest Treasure in the Universe can, and must, be used to wipeout Zangyack’s Great Fleet, completely. The Gokaiger are hesistant to do so, wondering what their compensation would be. The Gokaiger engage in a life-or-death struggle against the Zangyack. What will the Gokaiger do with the Super Sentai’s 34 Great Powers? One after the other, strong enemies gather to stand in the Gokaiger’s way…. How is the book cover the smallest scan? Yep, those are SIX coming RangerKey sets, for Hurricanger, Boukenger, Dekaranger, Gekiranger, Kamen Rider OOO, and a 2nd set for Go-Buster, which features the 4th & 5th Go-Busters and the new BuddyRoid (which I will cover in a separate post). Takayuki Godai (Takayuki Hiba/Vul Eagle II), Kazuoki Takahashi (Shou Hayate/Change Gryphon), Kihachiro Uemura (Dai/Green Flash), Issei Hirota (Akira/Blue Mask), and Ryou Narushima (Remi Hoshikawa/Five Yellow). Seiju Umon (credited under Aohisa Takayasu), who previously played Mammoth Ranger Goushi in Zyuranger, Louis Yamada LIII as Professor Shuichiro Amachi of Tensou Sentai Goseiger, and Kaoru Hirata as Yuka Yamazaki of Mahou Sentai Magiranger. Also, it looks like the kid from Ep.3 will be returning as well, for what reason is hard to say. Atsushi Harada, who played Shou Tatsumi/GoGreen of GoGoV. He confirmed his appearance in the episode via Twitter. Other rumored appearances include Yumi Sugimoto, who played Miu Sutou/Go-OnSilver in Go-Onger, and Keiya Asakura, who played Yohei Hama/BlueTurbo in Turboranger. And finally, we end this post with some news and info on Go-Kaiger Vs. Gavan. The movie opens with the Gokai Galleon being attacked by Gavan’s ship. It’s a really nice scene that makes use of the added budget. Gai’s reaction when he realizes that it’s Gavan is priceless. Gavan introduces himself and the Gokaigers protest that they were pretty much given the blessing of Dekaranger crew, but Gavan remains silent before kicking their five collective asses, arresting them, and delivering them to his superior. Said superior turns out to be Zangyack in disguise, introduces Gavan Bootleg, and immediately tries to execute the pirates. Before they can, Gavan releases them and returns their changers. There’s a short-ish fight before the Gojyudrill makes its entrance and rescues the crew. Gavan, however, is captured and transported to the worst prison in the universe. Back on the Galleon, Marvelous reveals that Gavan saved his life ten years ago, basically by giving him the courage to jump from a platform that was about to explode. The stroll down memory lane is interrupted by Basco. He tells them about the space prison that Gavan is being held at, knowing that they’ll go off to rescue him and leave the Galleon unguarded. He leaves them alone to figure out how they’re going to get to the prison to rescue Gavan. This is interrupted when Gavan comes walking down a path while talking to a giant Panda. Gai is quick to point out that it’s not Gavan, but Battle Kenya. About five seconds later, Denji Blue walks over. Luka thinks they both look like Gavan, but Gai denies it. Still, they get the idea to use the Battle Kenya and Denji Blue keys to open up a doorway to the space prison where Gavan is being held. 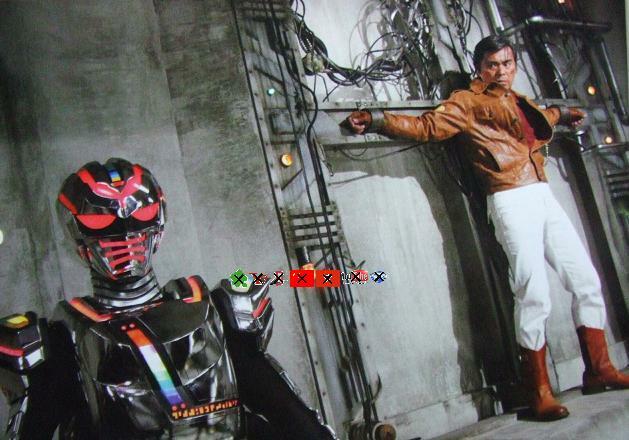 Once they break into the prison, they come across Jealoushito and some of the previous Super Sentai enemies. Having been in prison for awhile, they are a kind of horny and begin to lay flattery on Joe, Luka, Don, and Ahim. Back on Earth, Basco is about to get aboard the unguarded Gokai Galleon, but is stopped by the Go-Busters team. He thinks they’re impostors, but they tell him that they’re the 36th and newest Super Sentai team, the Go-Busters. They fight Basco to a stalemate, but since Sally was distracted, they’re able to get the upper hand. 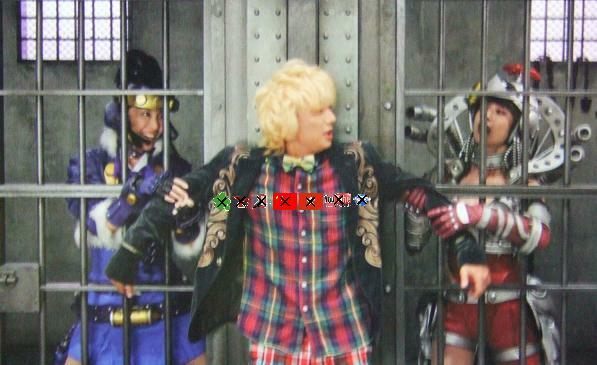 In the space prison, the Gokaigers free the inmates after encountering a large group of Gormin. Gai and Joe hold them off while the others go off to find Gavan, who is being tortured by Gavan Bootleg. The Zangyack use the portal technology to stall them. Thanks to the portals, doors in the space prison now lead to other places in the universe. Luka and Doc wind up in Europe fighting an army made up of the family of the Big Brother/Little Brother Zangyak. Ahim winds up fighting another Zangyak general near an ocean. Marvelous alone makes it through to the room where Gavan is being held. He fights Gavan bootleg and, using a ricochet technique that really need to be seen to be believed, frees Gavan, reversing the roles they were in ten years ago. The split up team then breaks reality by shooting out the ground beneath their respective feet, reunite in the basement of the space prison, and use a Silver Charged rising strike through the “portals” that takes out most of the Zangyack generals and returns everyone to Earth. It’s hard to convey just how awesome this was. Back on Earth, Gavan fights Gavan bootleg while the Gokaigers fight the Zangyack general. They use an all pink change, an all white change, and an all red change. Gavan bootleg is destroyed after being stabbed and sliced in half while an exploded car burns in the background. Once the Zangyack general is defeated, he grows in size and has telekentic powers that he uses to shuffle buildings into GoJyuGokaiOh. Machfalcon joins the party and forms Kanzen GokaiOh, which then surfs around on the back of Gavan’s dragon. Even THAT isn’t quite enough to put away the general, so Marvelous and Gavan do a combined Final Wave attack while standing on the head of the dragon (that is also carrying Kanzen GokaiOh). The combined Final Wave and GokaiOh attacks finally put away the general. Afterwards, Gavan tells Marvelous that he’s happy to see what he’s become. Not just a pirate, but a good man. The former Battle Kenya and Denji Blue meet up with the crew. The Gokaigers return their respective keys to them and all transform. We see Gavan pose with Denji Blue and Battle Kenya while Gai flips out and asks for their autographs. And for some very exciting news: it debuted at #2 at the Box Office, bringing in 159,227 people and grossing 160,750,000 Yen (2.06 million USD) in it’s opening weekend. So Congrats to them on that! And with that, this post is finally finished! Do I expect this to be one of the last posts I do for Go-Kaiger? Not by a long shot! Especially since there’s still two episodes left, and they’ll also be in the upcoming Kamen Rider X Super Sentai: Superhero Taisen movie this Spring. Plus, they’re just too popular to completely let go of, so who knows what the future may bring for our beloved Space Pirates. But for now, just look forward to the finale! Author M.F. CalhounPosted on February 6, 2012 February 6, 2012 Categories MC's postsTags #2, debut, episode summaries, episode titles, final battle, finale, future plans, Greatest Treasure in the Universe, info, Japanese box office, Kaizoku Sentai Go-kaiger, Kaizoku Sentai Go-Kaiger VS. Gavan, leaks, movie plot, news, plot, plot summary, RangerKey Book, RangerKeys, returning cast, rumors, scans, Second Legend War, Toys!, trailerLeave a comment on Go-Kaiger Ultra-Post: Haden Ni Ikuze! Until the last episode! 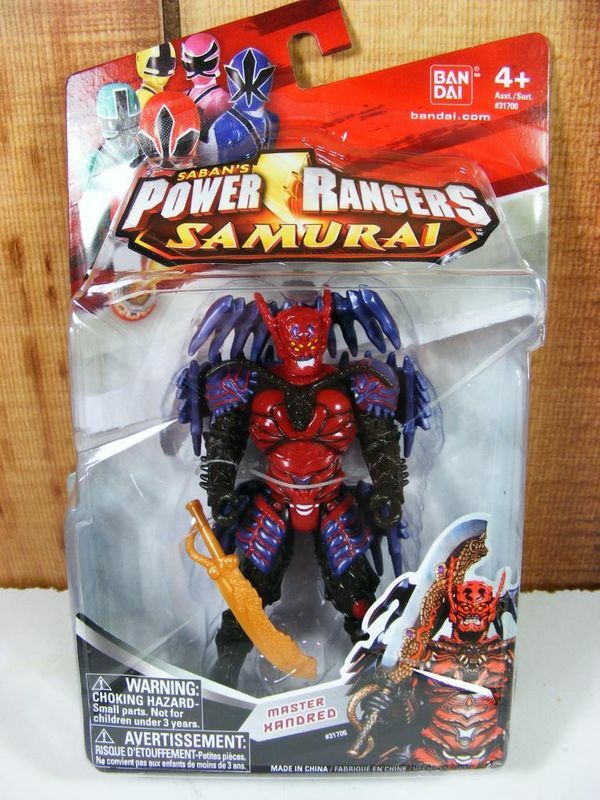 New Samurai Toy Spottings: Blurring the lines between the Holiday Season and Season 2. Since the new toy line announcement last week, people have started to see the new spring line pop up in stores just in time for the holidays (like that was an accident). 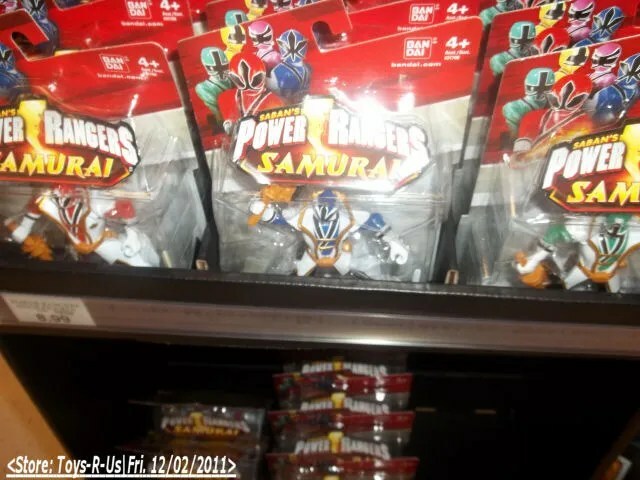 Here’s some of the new toys that are on the shelves now (depending on where you live/shop), found by various users on Rangerboard. 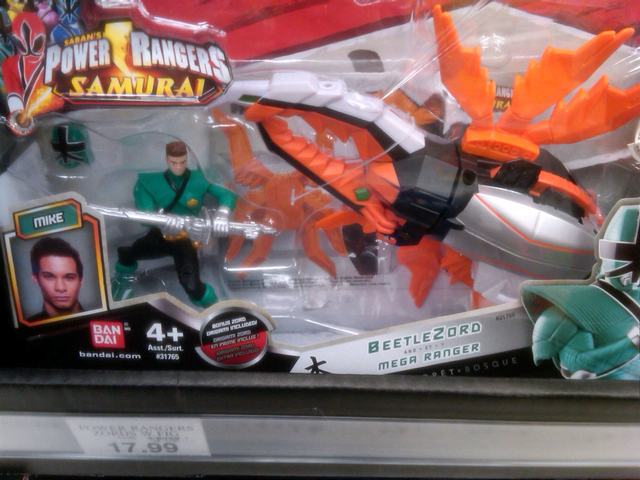 Yeah, not sure where they came up with the spider concept either, but we have a Lantern zord now. So, have you seen any of these new toys in your local stores? Author M.F. 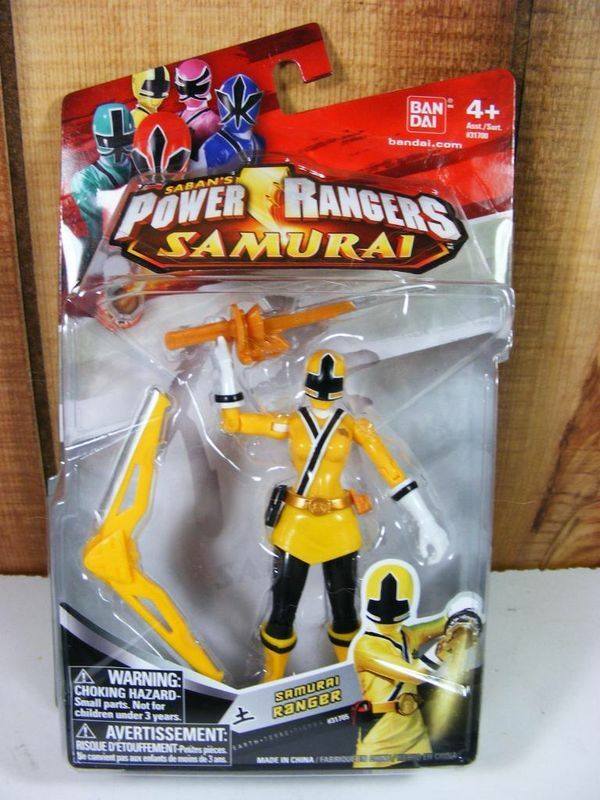 CalhounPosted on December 3, 2011 Categories Who Knows, Who Cares?Tags new, Power Rangers Samurai, rangerboard, REAL PICS, sightings, Toys!Leave a comment on New Samurai Toy Spottings: Blurring the lines between the Holiday Season and Season 2. 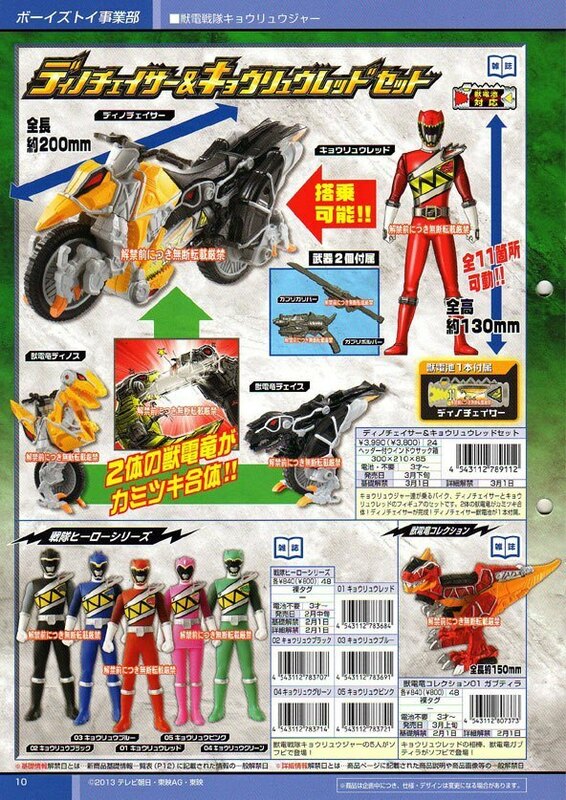 More Gobuster Scans: No big spoilers here, just more toy news. Not sure what anything after that says. 130mm figure of RedBuster, and a figure of Chida Niku that transforms into his bike/cockpit mode. Minicars that go when reved up, and a Ranger Key inserted. 4 kinds are listed so far. 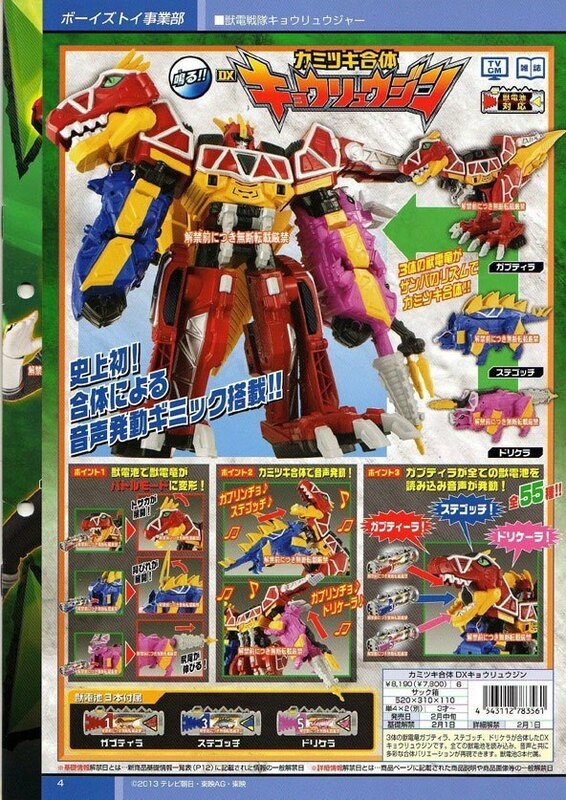 Red Buster Key w/Buster Machine Cheetah, BlueBuster Key with Buster Machine Gorilla, GokaiRed Key with GokaiGalleon, and GokaiSilver Key with GojyuuDrill. Uchuu Keiji Gavan Figure: 175 mm figure of Gavan. 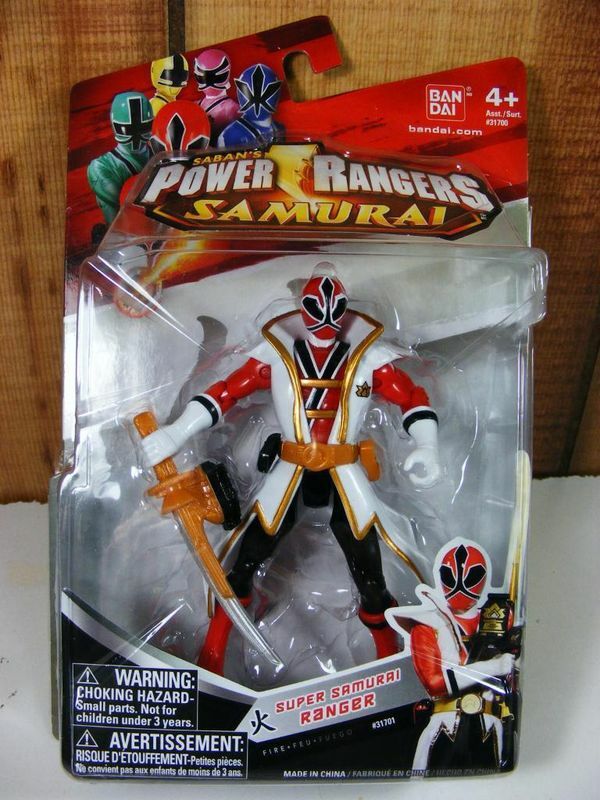 And this is just the standard top game/character watch release that comes out with almost every Sentai series nowadays. And that’s all of them, for now. If anything else comes out, I’ll let you know! Author M.F. 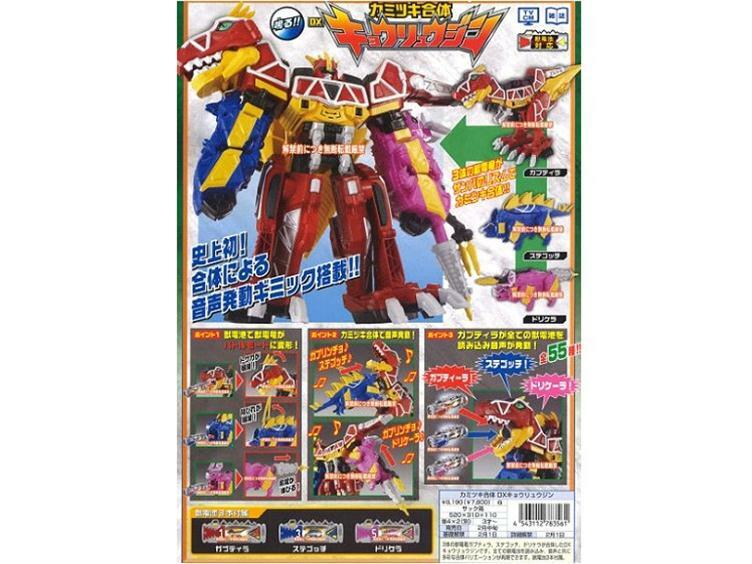 CalhounPosted on December 3, 2011 December 3, 2011 Categories MC's postsTags character watch, figures, Gobuster-Oh, RangerKey series Ride and Go, scans, sets, Super Sentai best, Tokumei Sentai Gobuster, top game, Toys!, Uchuu Keiji Gavan2 Comments on More Gobuster Scans: No big spoilers here, just more toy news. Here they are! 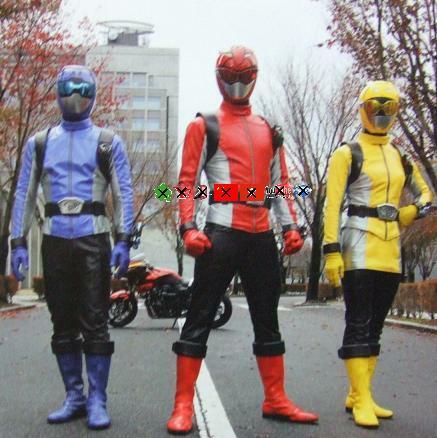 From right to left, that’s YellowBuster and robot partner Usada Letas, RedBuster with Chida Nikku, and BlueBuster with Gorisaki Banana, and of course Gobuster-Oh in the background. And this is their main henshin device, the (and I kid you not) Morphin’ Brace (sincerest apologies to the Mission Paneler for not making the cut). Apparently, it pops out the shades that the Gobusters where on their helmets. And from the looks of it, it come with interchangable disks for each Gobuster (think the Shinobi Medals from Hurricanger). And then there’s the thing on the bottom of the page, but I don’t know what it is, so let’s move on! And here are two of their side-arms, the IchiganBuster, a camera that changes into a gun/blaster, and the SouganBlade, a sword that changes into a pair of binoculars. And from the looks of it, it seem that they do combine together to form one more powerful weapon. And this is RedBuster’s mech, CB-01 Gobuster Ace. Looks like Chida Niku first turns into the head of the mech (GoseiKnight anyone? ), and then attaches itself to the car shown above, then changes into a cheetah, and then changes into a single robot that can combine with the other two. A little complicated, but okay. Whoa, that’s bigger than the others. It’s the new Legend Mobirate, apparently with 68 new sounds, a new gold-lined paint job, a Super Sentai databease, and a new AkaRed RangerKey! And it will be cheaper than the standard Mobirate!! 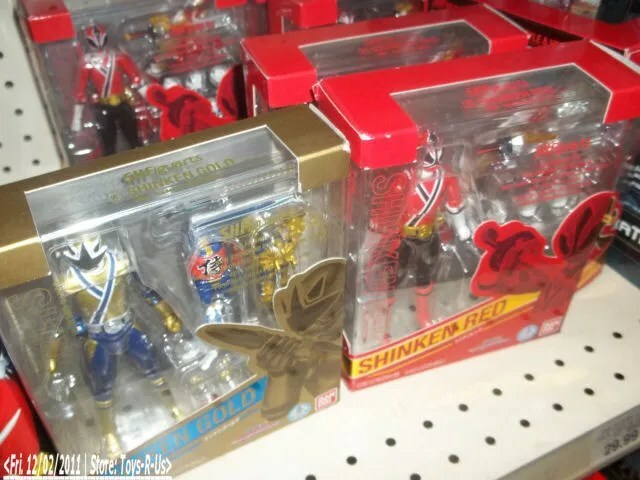 And it looks like they’ll be releaseing three new RangerKey sets, which include full-team SunVulcan, Gaoranger, and of course Gobuster. Set for release in March. My thoughts: On first impression, it looks good. At first, I was somewhat shocked by the new suit designs, mostly because they look like an outfit you’d where backpacking, but it works. I’d do like the new colored-shades look, and the helmet design is clean and simple. While I’ll admit that I had been looking forward to the Mission Paneler, I do like the pop-out shades gimmick of the Morhpin’ Brace (Saban, if you ever get to this series, please, for your sake and mine, keep that name!). From the look of that, and their equipment, it looks like the spy theme rumors might be true. And I guess with the new mechs that they wanted to retry the “Headder” concept from Goseiger, but it’s a nice looking Sentai mech. Th only thing I’m no sure of is their team logo. It’s a pair of shades over an ellipse that makes it look like a big “G”, and has the letters “BG” on the shades. It’s just a little too reminiscent of the Go-Onger logo for my tastes. And of course, this post is full of good news, because along with this new preview and the new Mobirate news, it looks like the premiere date for the series is February 26th, which would put the official number of episode of Go-Kaiger at the rumored number of 52! Yay rumor confirmations! If I find out any more, you can bet I’ll let you know! The Gobusters’ transformation device. Has a Henshin Mode (transforms the rangers), Call Mode (summons Buddy Roids), Let’s Driving Mode (summons Buster Machines), Analyze Mode, Robo Mode (activates GobusterAce), Game Mode (play a game using the dial on the MorphinBrace), Special Mode (secret mode activated via the brace’s dial). Looking at the pictures, the henshin call seems to be “It’s Morphing Time”, with the catchphrase for the show being “It’s time for Buster”. Voice Changer/Walkie Talkie that doubles as a projectile weapon. The set includes Red’s Buster Machine (a Sports Car) and Red’s Buddy Roid, Chida Niku (Niku means Meat). As a Buddy Roid, Chida can transform into a cockpit for BusterRed to pilot. Chida Niku and Red’s Buster Machine can combine into the “Buster Vehicle CB-01 Cheetah”. It can then undergo a transformation into animal form, making it into a Buster Animal, “Buster Animal CB-01 Cheetah.” That form then transforms into the robot, GobusterAce. Combines with Gorilla and Rabbit to form GobusterOh. Set includes Blue’s Buster Machine (a truck) and Gorisaki Banana, Blue’s Buddy Roid. Gorisaki Banana, as a Buddy Roid, can transform into a cockpit for BlueBuster to pilot. Gorisaki and Blue’s Buster Machine can combine into the “Buster Vehicle GT-02 Gorilla”, which can then undergo a transformation into a Buster Animal, “Buster Animal GT-02 Gorilla.” Combines with GobusterAce and Rabbit to form GobusterOh. Set includes Yellow’s Buster Machine (a helicopter) and Usada Letas, Yellow’s Buddy Roid. Usada Letas, as a Buddy Roid, can transform into a cockpit for YellowBuster to pilot. 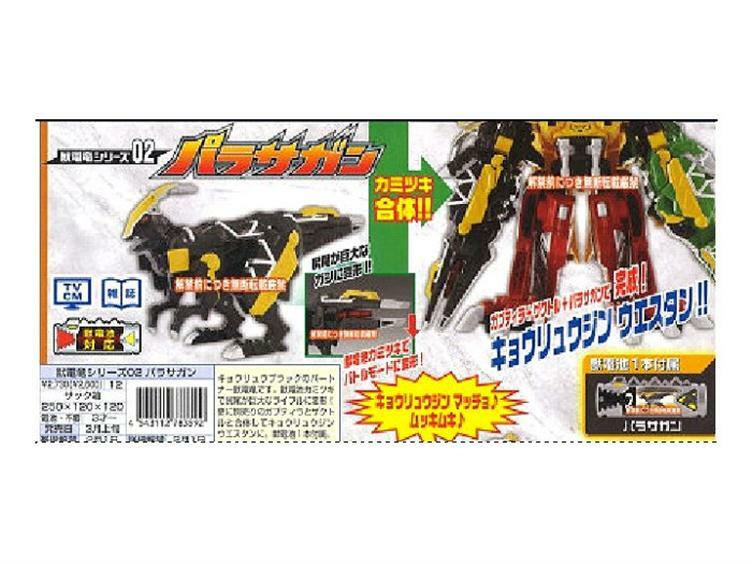 Usada and Yellow’s Buster Machine can combine into the “Buster Vehicle RH-03 Rabbit”, which transformed into a Buster Animal, “Buster Animal RH-03 Rabbit.” Combines with Gobuster Ace and Gorilla to form GobusterOh. Camera that changes into a gun. Based on an “ichigan” (single lens reflex camera). In Camera Mode, the toy can simulate zoom and shutter movement. Can combine with the SouganBlade to form the “Ichigan Buster Final Buster Mode”(name not fully legible, but I think this is it). Lights and sound. Binoculars that change into a sword. Name taken from “Sougan” (Binoculars). In Sougan Mode, seems to have a working scope. Looks to contain sounds of the Buddy Roids. Can combine with the IchiganBuster to form the “Ichigan Buster Final Buster Mode”. Lights and sound. And there’s the current product list. 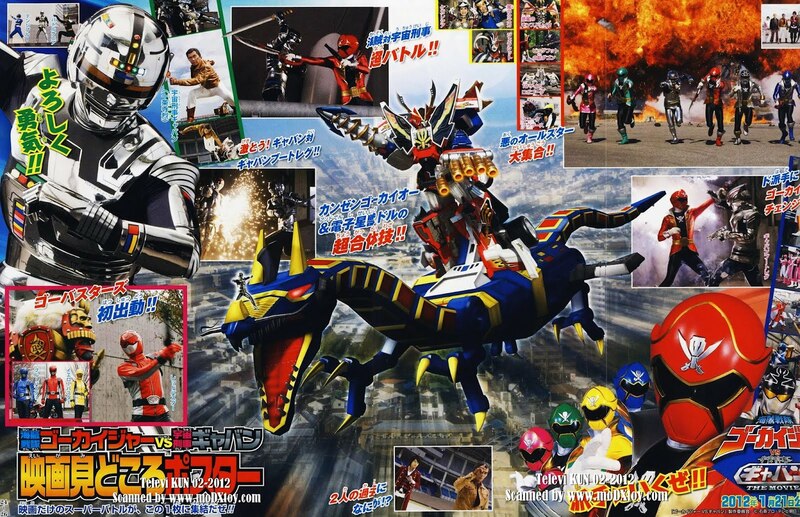 Go-Kaiger Scans and Episode Summaries: Rise of the Dragon Slayer? Yay! More new scans! This time, we have scans from upcoming episodes of Go-Kaiger, as well as some new episode summaries, and it looks like we’re going into two characters’ backstories. Meet the Princess and the Dragon Slayer! Next week’s episode of Go-Kaiger, Ep.41, “Something I Don’t Want to Lose”, Emperor Ackdos Gil enters the battlefield, setting after the Go-Kaigers for the death of his son. And along with him are two of his guards (seen above), Imperial Guards Dyrando ans Zatslig. After imprisoning Damaras for not protecting the Prince in battle, Zatslig, with a reputation for destroying whole worlds, goes on the attack. And Ahim is the one that goes after him, because Zatslig is the one who destroyed her home world of Famille and killed her parents, the King and Queen shown in the first scan, and saying that she has a grudge against him would be an understatement. We’ll also learn how she met Marvelous and why she became a Pirate. And this scan come from the episode after, Ep.42, “The Strongest Man in Space”. In it, Ahim uncovers reports that would suggest that Don Dogoier/Hakase may have been a legendary warrior, known for slaying many dragons on many worlds. But Don has no memories of doing any of it. So, is he a great Dragon Slayer, or was he just an intergalatic cosplayer? 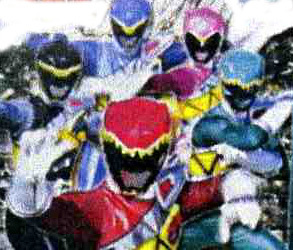 And this final scan reveals that the RangerKey toy line will continue into next year (2012), and that there will be a new toy to use with them. 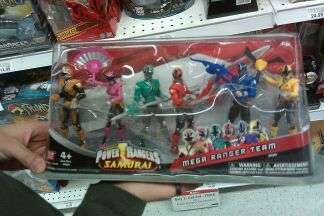 No word yet on which teams or senshi the new RangerKeys will be based on. 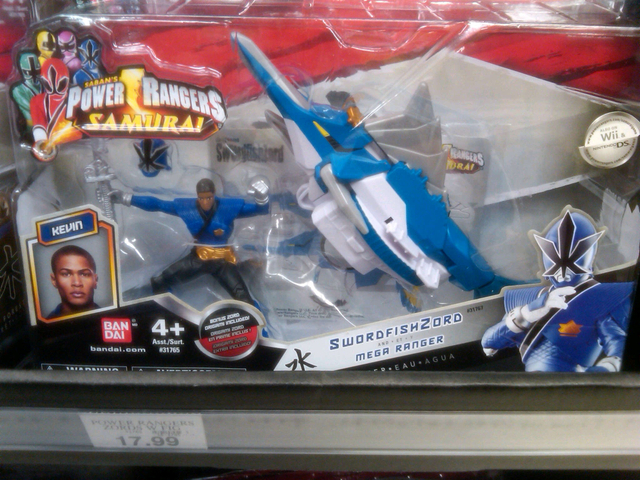 And that should be it for Go-Kaiger series stuff. Hopefully, we’ll get a glimpse of that new toy sometime soon. 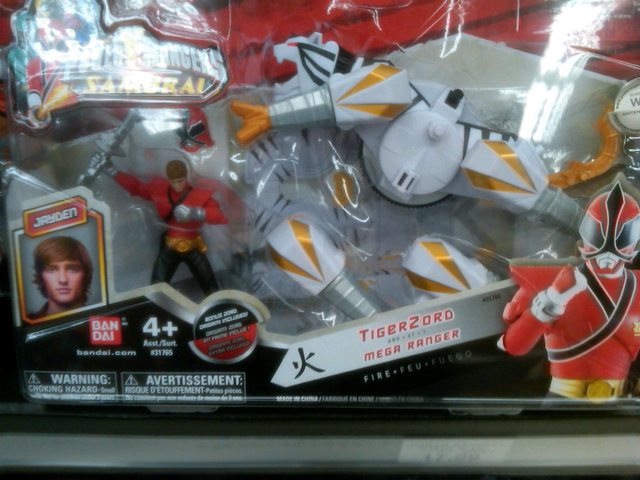 Question for you: Any ideas on what the new RangerKey toy will be? Author M.F. CalhounPosted on November 30, 2011 November 30, 2011 Categories MC's postsTags 2012, Ackdos Gil, Ahim do Famille, announcement, backstory, Don Dogoier, episode summaries, imperial guard, Kaizoku Sentai Go-kaiger, leak, news, RangerKeys, scans, Toys!Leave a comment on Go-Kaiger Scans and Episode Summaries: Rise of the Dragon Slayer? Jungle Fury tops Internet Toy searches: The King of the Jungle is reclaiming his crown! Too bad he’s got nothing to show for it. So, did any of you catch the Power Rangers Jungle Fury marathon on Nicktoons over the weekend. I know I certainly did (in fact, it took up most of my Saturday). Well, probably one of the most interesting things to come out of the marathon had nothing to do with the show, but with a major boom in toy searches. Author M.F. 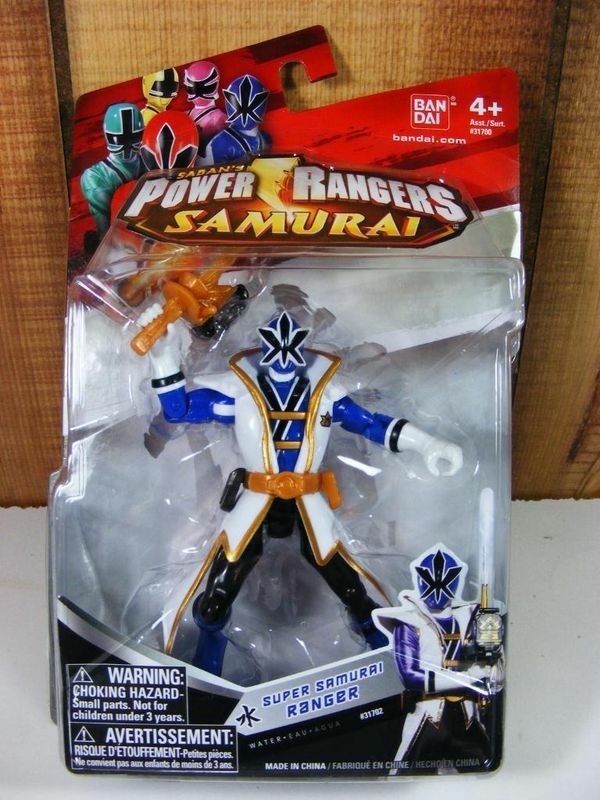 CalhounPosted on November 23, 2011 November 23, 2011 Categories MC's postsTags info, news, Power Rangers, Power Rangers Jungle Fury, Saban Brands, search results, Toys!, trendingLeave a comment on Jungle Fury tops Internet Toy searches: The King of the Jungle is reclaiming his crown! Too bad he’s got nothing to show for it. 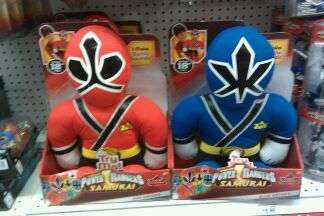 Power Rangers Samurai Spring Toy Line: Super Samurai Included! Something about that new belt looks awfully familiar… No time to dwell on that, though, we’ve got more figures to cover. The entire collection of PRS Squinkes comes in three sets. Author M.F. 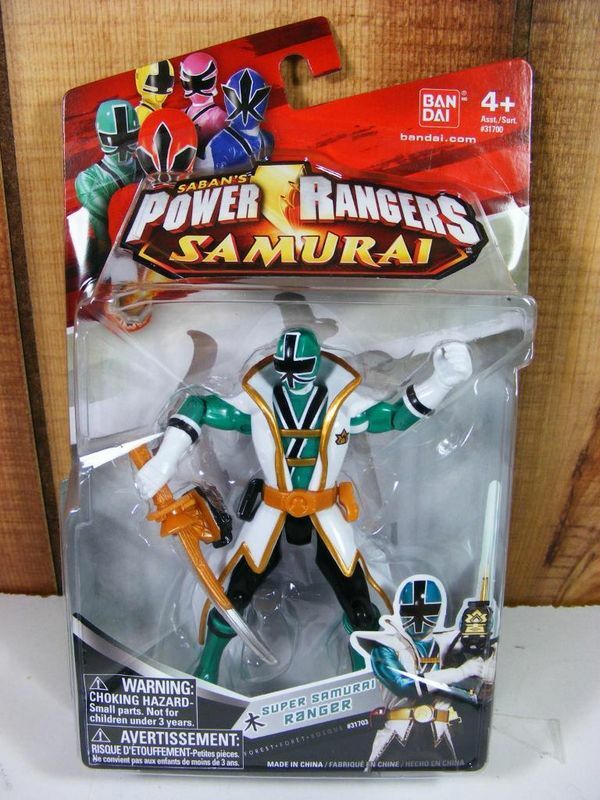 CalhounPosted on November 21, 2011 November 21, 2011 Categories MC's postsTags action figures, figures, Kyoryu Origami, Master Xandred, Mega Mode, Mega Rangers Set, mini cycles, Morphin' Figures, new, plushes, Power Rangers Samurai, Shark Zord, spring line, Squinkes, Super Samurai, Toys!, Toys'R'Us, zords8 Comments on Power Rangers Samurai Spring Toy Line: Super Samurai Included! Zodiart Switches Coming soon: Dibs on Capricorn! Wish upon a star? Jiminy Cricket does not approve. The Astro Switches might be fun, but would you like to wish upon the stars and become a Zodiart? Well now you can! Bandai will release the Kamen Rider Fourze Zodiarts Switch on March 19th, 2012! The Switch, which let’s people change into Zodiarts in the show, weigh 300 grams and will be show size. It has several self-contained sounds, including the transformation sound, the “Last One” sound, and it can list of the name of the 20 currently known Zodiarts, which includes the 12 Zodiac Zodiarts. Well, they haven’t done a release like this since W, I wonder how well it will sell with fans. Anyway, pricing hasn’t been set yet, but preorders are available at various online retailers, so go find out whose got ’em! Author M.F. CalhounPosted on November 18, 2011 November 19, 2011 Categories MC's postsTags announcement, Bandai, info, Kamen Rider Fourze, preorder, release, Toys!, Zodiarts, Zodiarts Switchs2 Comments on Zodiart Switches Coming soon: Dibs on Capricorn! A toy site called Takarajima listed the first wave of figures, with seven new figures all together. 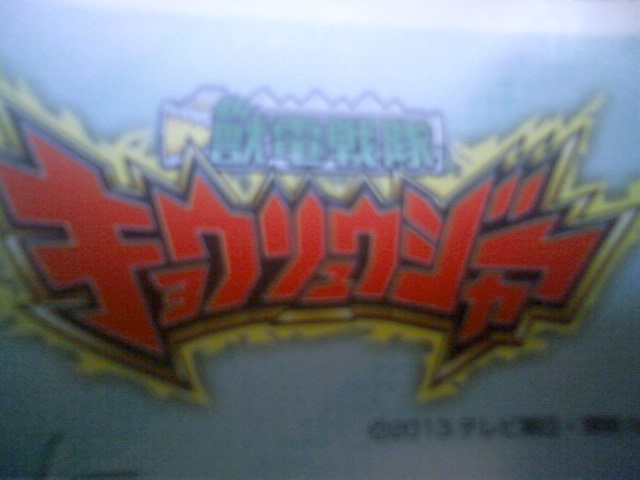 According to current rumors, the first six figures are of the three primary Gobusters and their partners. The supposedly that’s GobusRed, GobusBlue, and GobusYellow, with their respective partners. The seventh figure is expected to be Gavan, with current rumors saying that Ohba Kenji will appear in the series, and will essentially be the Gobuster’s leader. 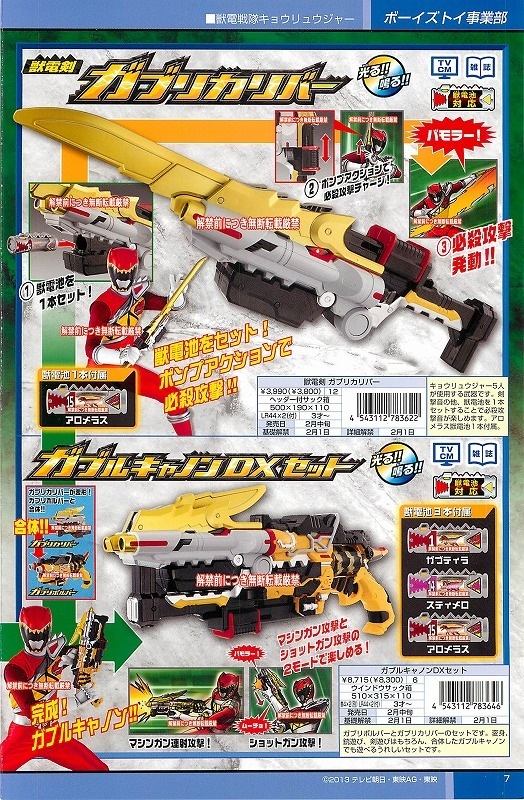 And other rumors still point to the Mission Paneler as the main henshin device, and that they will each get two weapons. Looks like somthing for each of the figures. Could these be connected to the Mission Paneler, like the RangerKeys to the Mobirates? Or are these just little collectibles? Assuming that this is related to the mentioned collectibles, then that’s a real possibility. I'm a writer and a blogger just trying have my voice heard in this crazy, shouting world! Go-Kaiger Romance? : Are Ozawa Ryota and Ichimichi Mao dating? Are you Ichimichi Mao's type? Probably not. Kaizoku Sentai Go-Kaiger Ep.51 (Finale) SUBBED: Goodbye, Go-Kaigers. See you in a month! Kamen Rider Statue still standing after tsunami. Kamen Rider App Game: Scanning Charge! Go-Kaiger Mobirate App for Android: To anwser your question now, no, I don't know if it's available in the US. Kamen Rider Fourze Ep.20 RAW: Opposites Attract. No, not that way! Power Rangers- The Power is on! Stuff I actually have anything to do with. Henshin Head Blog at WordPress.com.